I love the stars. the photos taken have that feeling being alone in a very big world. the Merry -go – around what ever happened to it? beautiful. 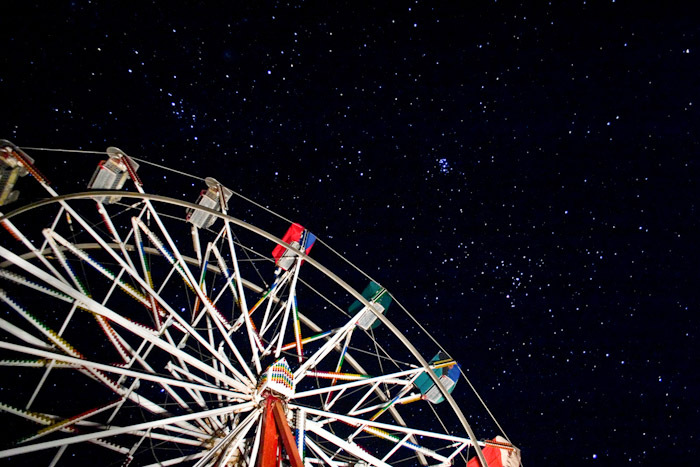 I can almost imagine sitting at the top of the ferris wheel and feeling like you touching the stars. oh michael i just love sharing this soda with yo while looking up at these stars hold me a little tighter.